It doesn’t take much to make simple youtube video marketing effective for your small business. Here we demonstrate the most rudimentary video possible for a recent release of our updated 2012 edition of our social media marketing eBook, The Social Networking Business Plan with Onefineham. 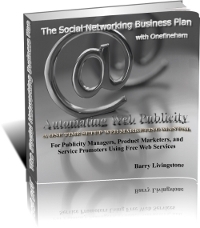 Automated article syndication is made easy over social networks with The Social Networking Business Plan with Onefineham. 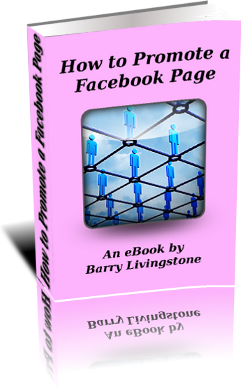 This 2nd edition of the popular eBook will help you overcome the headaches associated with updating multiple social media platforms and communicating a consistent message to your fans and customers. The beauty of The Social Networking Business Plan is that it not only creates “one click” content / article marketing syndication over the leading social media networks such as Facebook, MySpace, and Twitter, it also does so by using COMPLETELY FREE resources. Act now to pick up a copy of the eBook at http://socialnetworkingbusinessplan.com and receive 3 FREE bonuses, including tips on SEO, Driving Traffic, and increasing the number of Likes on your Facebook pages. We here at Onefineham.com love making these simple, quick youtube videos because they are easily shared, are high impact, and ultimately build your fan base and increase sales and website traffic. Contact us today for a quote on a simple youtube video marketing piece for your small business in the Lakes Region of New Hampshire.